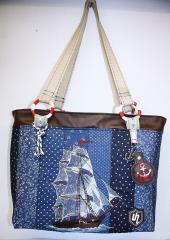 Sea theme is equally attractive for boys and girls, men and women. It isn’t strange: the romantic of deep blue sea, the beauty of ship equipped with sails filled with the wind, the power of strong sea breeze will not leave anyone indifferent. 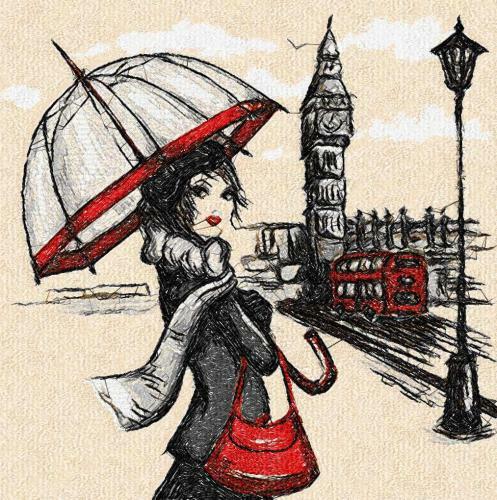 That’s why people like pictures of nautical theme so much. 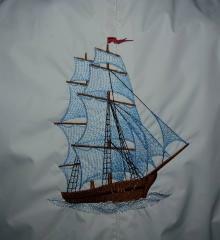 If you like it too you may choose this Sea ship free embroidery design to decorate your bag or clothes. 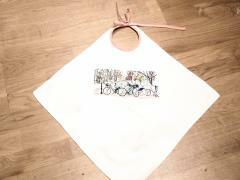 This is cool embroidered t-shirt for boy. It is able to make him center of attention on playground. You also can repeat this success. 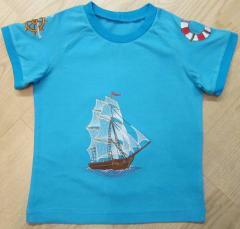 You just need to execute Sea ship free embroidery design on you child’s clothing. 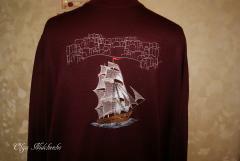 On this example main picture was added my thematic images of clothing’s sleeves. Furthermore color of main background looks exactly like deep sea. 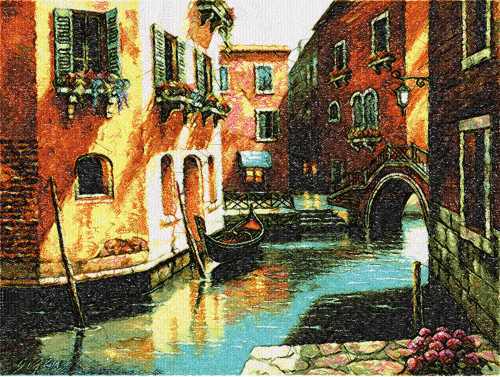 Size: 5.47 x 7.28' Beautiful picture-like embroidery. 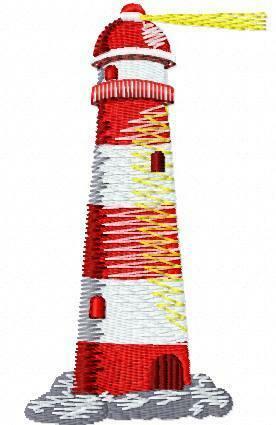 Ideal for decorating the room. 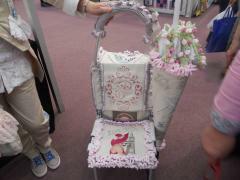 The large size of the embroidery that you can put in the frame will not leave anyone indifferent. Use thick cotton fabrics. 2-3 layers of stabilizer with a density of at least 75-80 grams per m2. 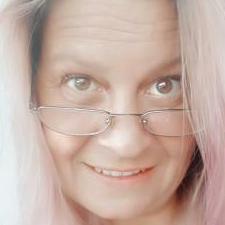 Lyshe photo-stitch at a speed not exceeding 600 stitches per minute. 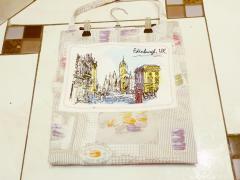 This picture is fragment of nice embroidered bag which is suitable for person who loves to travel. 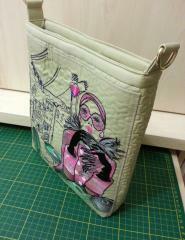 Its front surface is decorated with thematic embroidery sample. 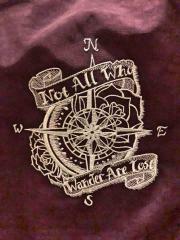 It is Not All Who Wander Are Lost one color embroidery design. This motto is well reminder about true values of life. 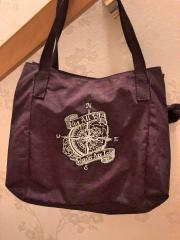 It consists of optimistic slogan and picture of rose of winds decorated with beautiful flowers. 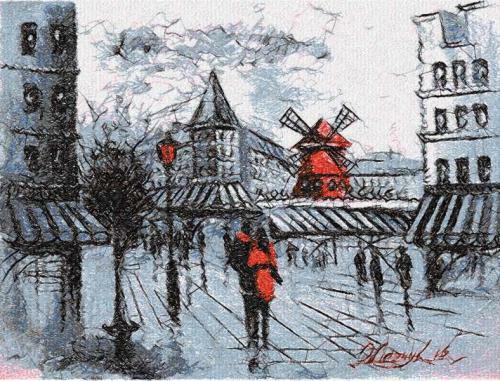 On this picture you may see embroidery sample showing one of the most famous symbols of Paris. Almost each people including those who have never been on French capital know Arc de Triumph. 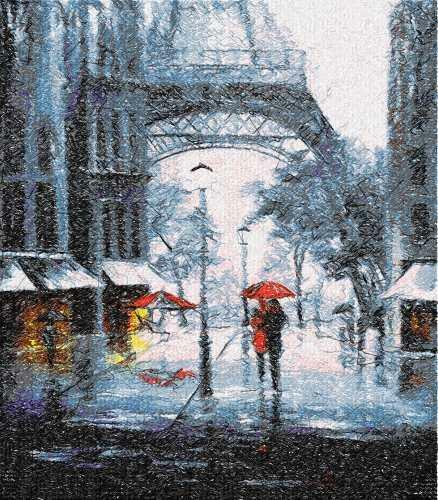 Paris 4 machine embroidery design also depicted the people around it. 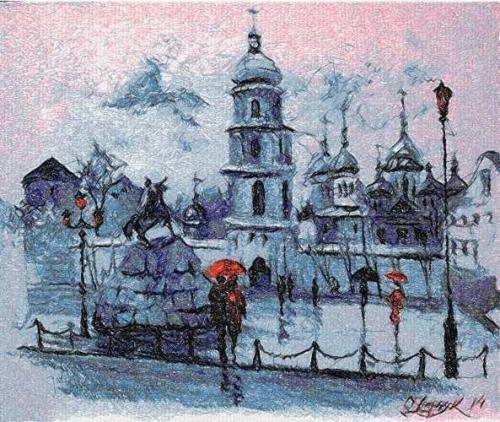 All elements of this embroidery sample are executed in special manner which reminds the sketches of French painters sitting with their brushes and paint on the streets of Montmartre.